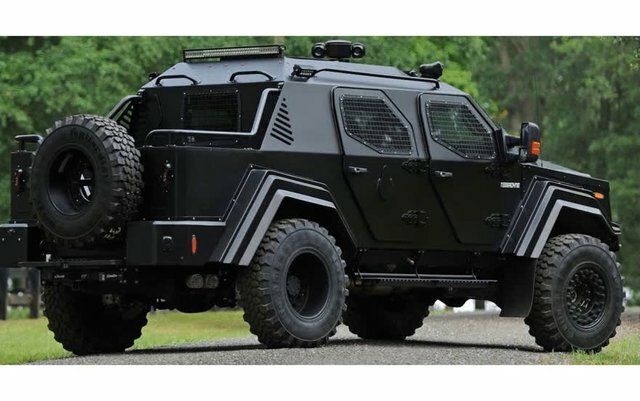 This street legal armored vehicle from Terradyne will make you feel perfectly secure in any environment. Thanks for your hunt but to be entirely honest I am not entirely convinced this fits within Steemhunt’s product scope (PG2) but I will give this hunt the benefit of the doubt and approve it. Wow, this thing looks bada$$! It would be very useful not only for preventing terrorism but also for military use. It is a fairly robust and safe car. It looks pretty powerful and sure I really think a lot of people with a good amount of money would like to have this truck. Looks luxurious as well as powerful! I've never thought street legal armored vehicle is available! !